Perkins Engines, with an industry leading global product range (11–800 hp) serving the construction industry, is showcasing its dual certified offerings including its 9L 1706J engine, products from its Perkins Syncro engine line and more at World of Concrete 2018. Perkins is also showcasing its innovative aftermarket offerings — the Perkins SmartCap and Perkins My Engine App — demonstrating further proof that Perkins is a trusted supplier of dependable engines and product support to this important market. The latest advances in the Perkins construction lineup, including the Perkins Syncro 2.2L, 3.6L and 1706J along with its latest breakthrough aftermarket offerings, the Perkins SmartCap and Perkins My Engine App, highlight as Perkins’ booth in Central Hall/Booth #C5979. 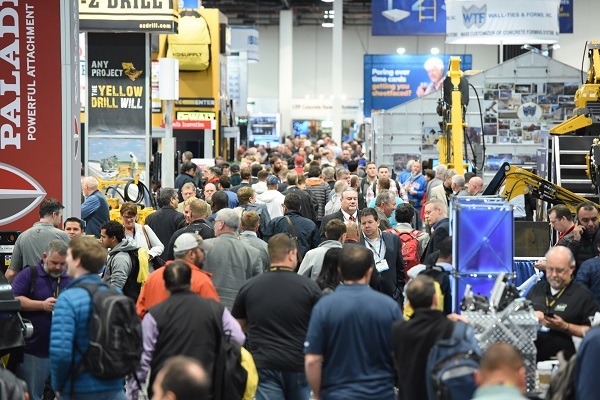 The show, held in Las Vegas January 23 – 26, is the largest annual international event dedicated to concrete and masonry professionals. The Perkins team, with more than 85 years of proud heritage behind it, is using this platform to showcase its global product range suited for the construction industry, breakthrough aftermarket solutions and to strengthen relationships with the most important piece of the equation — customers and OEMs who choose Perkins to power their machines. Visitors to the Perkins stand will see the latest lineup of engines for the construction industry, from the compact and popular Perkins Syncro 2.2 liter engine up to the powerful and robust 1706J engine. In between and on display is the biggest of the Perkins Syncro range, the 3.6 liter offering. Each engine on display is certified to meet both U.S. Tier 4 Final and EU Stage V emissions standards. Perkins engines allow customers to maximize performance and minimize complexity via dual certification and provide reliable emissions solutions where customers need it most — on the job. By taking advantage of Perkins comprehensive engine range extending 11-800 hp, from the compact 0.5L to the powerful 18L engines, customers can save themselves time and money by using one supplier for all engine needs across their global machine lineup. The show provides Perkins with another opportunity to showcase breakthrough aftermarket offerings in the Perkins SmartCap and the associated Perkins My Engine App. The solution allows users to add telematic monitoring to any Perkins engine — mechanical and electronic — simply by replacing their normal oil cap with the Perkins SmartCap. It’s the first technology of its kind ever to come to market. Perkins SmartCap transfers live data, such as hours of use, direct to the Perkins My Engine App, allowing users to better plan their service schedules. Extra functions include information to determine what parts an engine needs and an easy way to find your local distributor. Learn more about Perkins Engines here.